On our page that covers some of what we consider to be the “SEO Basics,” we listed a few things that every site should have when it goes live. Well, I’d like to take a moment now and expound on those thoughts a little bit to give you a better understanding of the thought process that goes in to starting to do SEO for your page. 1. First things first: You should have properly optimized coding. That means identifying your keywords, and making sure to include them in things like the title tags, description, H1s, body content, and so forth. Moz’s most recent analysis of Google’s ranking factors found that kind of on page SEO still carries a lot of weight, as you can see in their graph below. Moz’s findings regarding correlation between on page factors and rankings; the length of the bar indicating the amount of influence each was found to have. Now, there is a difference between making sure these things are filled out properly, and spamming them. More than ever, Google is looking for content that looks like it was made by humans, for humans; not just a string of keywords jammed in to any tag that carries influence. (And I feel the need to break here to also mention that, the above chart shows a correlation between top ranking sites and their on page efforts. And as we all know correlation is not causation. The sites don’t rank highly simply because the keywords are in the tags, but it’s also no accident. It’s SEO basics.) With that off my chest, it’s foolish not to optimize these tags. You can’t keyword stuff, but you can’t do the opposite and just assume Google will be able to determine the subject of the page without these indicators (maybe one day, but not yet). So, long story short, include them. Well-written content is a point of pride at NolenWalker.com, and it’s one of our main focuses. Each of our clients gets dozens of custom hand written pages, every time. We don’t do that for our health. Certainly not. Carpal tunnel is to web developers as black lung is to coal miners. (Only kidding… kind of.) We do it because it matters. People like to read content that is well written, and Google likes to rank things that people like to read. It’s a win/win. Companies that feel like they can get by bye scraping and spinning old content are doing a disservice to their clients, and that’s not something we aim to do here. A lot of research and manual hours goes in to typing up all that content, but it’s worth it when done correctly. It’s sort of unforgivable that some sites don’t have an XML sitemap. The sitemap is there to allow Google and other search engines to easily crawl and index your pages. A good rule of thumb is, if you want to rank better, don’t make it harder for Google to find your pages! We started off this list by hounding you about on page SEO, I know. But a website, all on it’s own doesn’t pass muster much in today’s highly competitive internet. But no fear! There are so many ways to expand beyond your website (things like Facebook, Twitter, Pinterest, your blog, Yelp, and on and on… ) that it’s easier than ever to begin to develop your online brand, outside of your url. If you really want to get serious about expanding your social brand, you can even look at some services that will automate the process, like OnlyWire, but that’s a different topic altogether. The pure aspect of design may not be a direct ranking factor; there’s not necessarily a reason an ugly site can’t pull up in front of a good looking site, but SEO isn’t just about Google. It’s about the people. 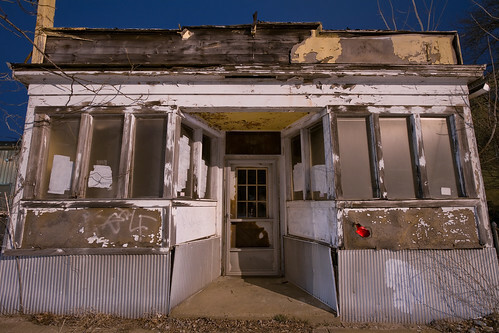 When someone loads up your site, you don’t want it looking like the online equivalent of an abandoned storefront. Yes, lets buy something from here. This ain’t the 90s anymore, and unless you’re rocking the old, unchanged Space Jam website, it’s time to move on an get a nice, modern looking design that isn’t going to chase customers away. Obviously, there’s so much more that can be said about SEO, but if you’ll do these few things, you’ll probably be further ahead than most. Some of the more “inside baseball” aspects of SEO, like link building or keyword research, require much more time to undertake, but most people who are willing to put in the time and are familiar with their website can tackle these first couple of steps to cover the basics of SEO, and build a nice foundation to build from. And if you don’t have the time to implement these things, there’s always NolenWalker.com!